First questions we hear when a stranded motorist calls in for a towing service is: How much will it cost? Can you do it cheaper? While we realize that this is an unexpected expense for you and you have a family to feed so do we. 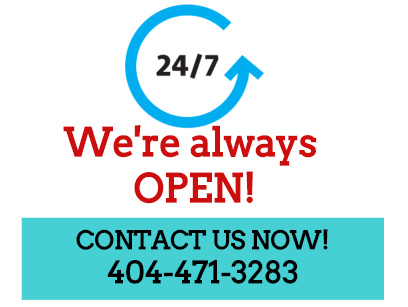 Running a towing company in Norcross GA, is like any other business. In order to survive, you have to set your towing service price s in a way that they will cover the expenses you have with running a business. When we set our prices for the towing services we offer, we take into consideration all of our overhead and operation costs and also the unpredictable expenses that may arise from time to time. It’s not just about the truck that may or may not have payments. It’s about the fuel, the insurance, the repairs, the maintenance, payrolls, dispatch, bookkeeping, telephone, marketing, uniforms, cleaning, damages, licenses, legal fees, bank service fees, credit card fees, legal and accounting fees, taxes, utilities, straps, chains, ropes, jacks, tools, equipment necessary to provide our services, and many other expenses. ​ Many towing companies accept working for motor clubs or service calls for a lowball price sometimes of $35. This won’t cover even half of their expenses, maybe just their fuel, but the lack of knowledge on how to market themselves and charge a fair price at least to cover all their cost of being in business and not make a profit at all, they will be out of business soon. When we give you a quote for the towing service you requested we are not just throwing out numbers here, we took into consideration all these expenses to operate our business. When you are hitting us with a lowball number we will most likely refuse to serve you. Please be considerate when you ask us to negotiate on our prices. We also have a business to run and families to feed.